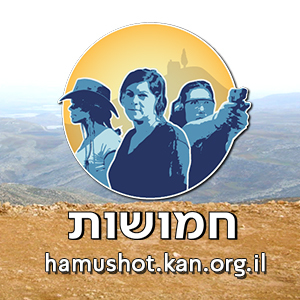 Three young Jewish settler women live on West Bank hills, surrounded by disowned Palestinians, with constant tension between their femininity and the weapons they carry. 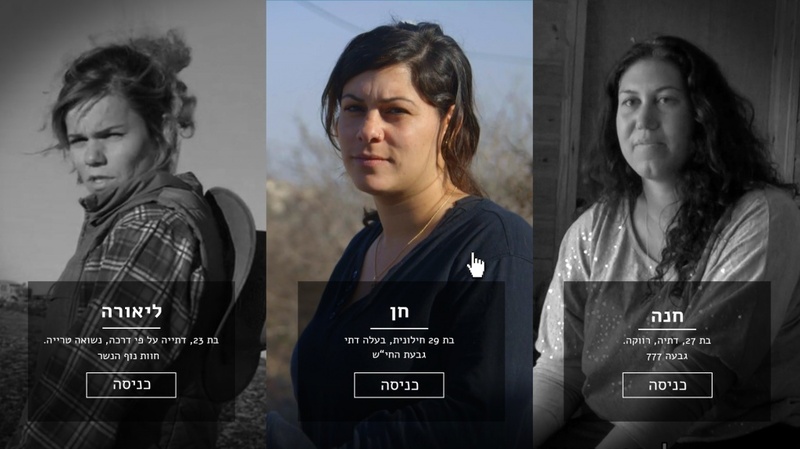 Through the eyes of young women, Armed shows daily life in hilly outposts in the West Bank. These are three of about 100 illegal outposts set up since 1996, without the Israeli government formal approval, but with it's evident quiet consent. Expanding Israel's control over land in the West Bank, the outposts have become a hub for violent clashes between settlers and by the Palestinians disowned by their presence. Armed protagonists grew up into this reality, and they are confident they are doing the right thing. For Liora, the farm is an inheritance the bible promised her father, who was a South African Boer farmer, the son of a Christian pastor who converted to Judaism. Hana sees the plot she received for free as government property which she is obliged to settle, like her parents did before her. Chen, a professional security inspector whose caravan is lined with unfenced Palestinian farm land, lives in constant alert. Hana, Chen and Liora belong to an extreme ideological minority whose influence keeps growing. Their stories are utterly political, but also very personal. They share their most personal feminine, religious and professional lives, in portraits that listen carefully to their opinions and thoughts. Armed exposes a powerful political and social process, which must not be ignored. The Israeli society needs to know and understand it, as it's changing our country and influencing our future. Armed attracted immediate when it launched in September 2017. More than 200,000 viewers watched the debut episode within a couple of days. The first few episodes were watched by more than 500,000 viewers, received many reactions and raised a heated debate in social media and press. Armed hit a raw nerve at the heart of Israel's crucial debate about the future of the settlements. It also raises poignant questions about the nature of documentary filmmaking: by presenting these women as powerful, does Armed glorify the occupation, or is it merely depicting an Israeli reality where a life style that was once considered extreme is gradually accepted as normal? Hana, 27, is religious and single. She decides to build her dream house in the most remote hill next to Itamar settlement. She soon discovers, it's not easy to be a woman in a men's world. Chen, a young mother who lives in a caravan in a Gush Etzion outpost, returns back to work as a security inspector- and brings her baby girl along to headquarters. Liora grew up in a remote farm divided in its midst by ‘The Green Line’, herding sheep and guarding at night armed with a long barreled M16. Newly wed, she now faces a dilemma: can she leave the farm, and discontinue her South African father's problematic legacy? Ayelet Bechar is a documentary filmmaker and journalist. Her debut documentary Just Married (2005) won awards worldwide. She was the content editor of the acclaimed webdoc Gaza Sderot (ARTE, 2008), and in 2015 she directed the documentary Take 3. She was a 2008 fellow at the Nieman foundation for Journalism at Harvard University. She has an MS from the Columbia University graduate school of Journalism and a BFA in film and television from Tel Aviv University. Ayelet teaches journalism and documentary filmmaking in colleges and art schools.